Content is everything. Each element on your App Store Product Page has a crucial role in driving installs to your mobile app. 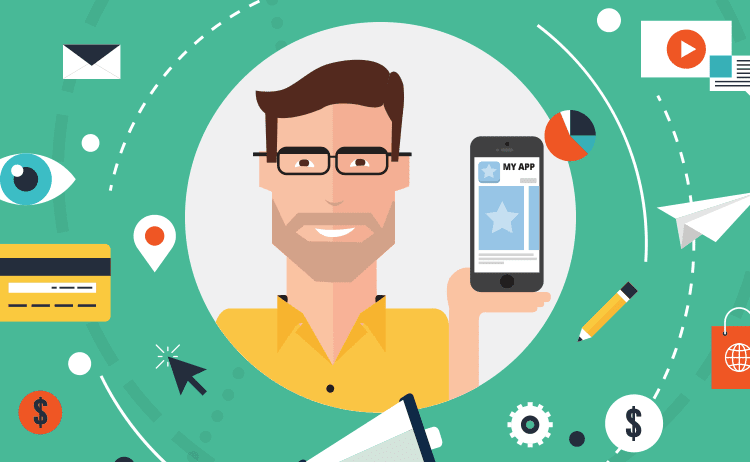 The role of the Product Page is to showcase your app’s core value and to drive users that care about your service to download and use your app. The App Store is where the onboarding process of new users begins. 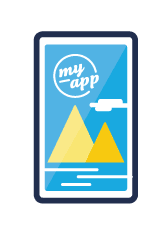 Showcasing the optimal combination of app metadata will result in a frictionless visitor journey – from discovering your app, to downloading and then using it. The First Impression is (almost) everything. The graphic assets that are available for users the moment they land on the App Store are the most important factors for valuable conversions. Your challenge is to convey your strongest messages using a limited set of assets that are visible on first glance. Think of your app store as a website – what would you put on the top of your home page? This is exactly what you should use for this App Store section. 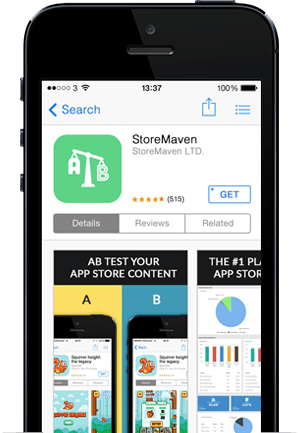 The elements that are visible instantly to the users on the App Store Product Page drive the 3 key engagement metrics – Instant Install, Instant Drop, and Explore. 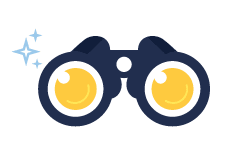 Since all of your users are exposed to those assets, and most of your users will base their decision to install or drop based on the above assets alone, this is where the money is. Exactly how important are those first few graphic elements? If your Click-To -Install conversion rate is low, the vast majority of your visitors will only see the first look elements. 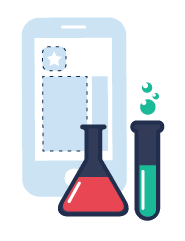 For example, in the tests we’ve run where conversion rate hovers around 2%, 83% of users on the App Store complete Instant behaviors. Thus, for 83% of users, the decision about whether to install or not is based entirely on those elements. 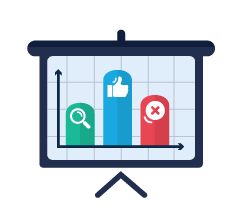 Traffic sources that have a higher Click-To -Install rate – for example, of around 30% – will see 45% of their users basing their decision whether to install or not on the first elements they see. Every day, up to 42% of all app installs come from users who do not engage much with your App Store Product Page. They build the first impression quickly and make a decision. How quickly do users make a decision? In order to answer this question, we need to separate the Decisive Visitors from the Exploring Visitors, since they are completely different types of users. 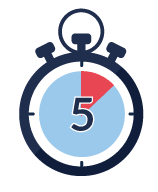 On average, a user will make a decision whether to Instantly Install, Instantly Drop or Explore within the first 5 seconds. During this time, the user will look at your Icon, App Preview Poster Frame, and the first 2 screenshots. From a design perspective, this means you must deliver a coherent message (with or without text callouts) that will get the user to understand the core values of your service, and give him/her a good reason to install. This group scrolls through the rest of your Screenshots, watches your App Preview Video, and reads your Description / Reviews. They will spend up to 13 seconds on the page to explore the above assets (and if they play the video, this number gets much higher). This gives you the opportunity to convey additional messaging and highlight different app values. How do you test your Icon and first Screenshots? Now that we understand the crucial role of the first graphic elements, we can go back to the drawing board and plan the first elements on our App Store Product Page. Limitation can also be an advantage, as we have a finite set of graphic assets & less room for UX confusion while planning our Product Page messaging. One of the biggest mistakes on the App Store is to show only part of your core values in those elements and leave the rest to the Video and additional Screenshots. Don’t let your conversion rates suffer by doing this. 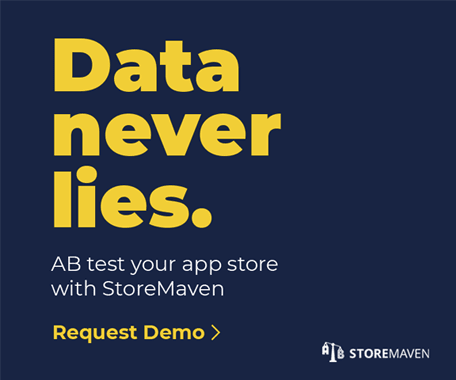 Once you have a few graphic elements and wish to understand which will work best on the App Store, you can sign-up for StoreMaven’s App Store A/B Testing Tool to get data-based results from live A/B testing your app Store assets. How do you choose a Preview Poster Frame? The Preview Poster Frame is a snapshot from your App Preview Video. Once your App Preview is approved by Apple, a default Poster Frame will be selected. In case you wish to upload a specific frame from the Video instead of the default one selected by Apple, you can use iTunes Connect to choose another frame. Since the Poster Frame acts as the first screenshot on the Product Page, it naturally has a significant effect on your Product Page performance. Remember, together with your Icon and first screenshot, you must be able to tell your app story and convey the messaging you believe will get users to convert. An ideal Poster Frame complements your Icon and first screenshot and features the core values of your app. You are encouraged to edit your App Preview to make sure it has an effective Poster Frame candidate. The Exploring Visitors are the third type of user – after Decisive Visitors who will either instantly 1) install or 2) drop. They land on your App Store page and have built a solid first impression based on the content they see after landing. They know a fair amount about about your app but are still interested in learning more. They do this by exploring the App Store Product Page and searching for more information about the app. The Explorers are a lucrative user group as they invest time in learning about your app. This gives you a great opportunity to show them what they could not find on the first graphic assets. 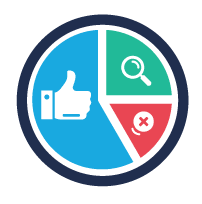 To maximize the conversion potential of this group, we need to focus the remaining Product Page graphic assets on additional product values and features that will complement the messaging used in our “Instant Behavior Assets” without repeating the exact same points. Highlighting additional app capabilities, doubling down on Social Proof or simply showing a unique moment of the app could all be part of your effort to turn these curious prospects to valuable users. 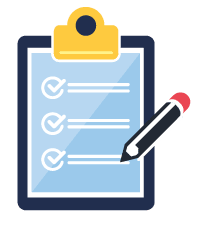 Any action on the page is considered exploring – from playing the video to reading reviews and scrolling through screenshots. The exact order of the actions vary between App Store categories and brands, but you can start by assuming those actions are performed each and every day on your App Store Product Page. The importance of the first elements on the page should not cast a shadow on the significance of the rest of the page content. Though they may be smaller in numbers, Exploring Visitors generally have higher performance (KPI-wise) on the app. The logic is simple: users who consume more page content have a better expectation of what they will find in the app. Therefore, they are less likely to bounce post -install because the app is not what they expected. If you want quality users (and not just sheer number of installs), your exploration funnel on the App Store is crucial. Exploration rates can be as low as 5%, and, in select cases, as high as 70%. As you can expect, the Exploration Rate is inversely proportional to Instant behaviors – the higher the Instant behaviors, the lower the Exploration, and vice-versa. 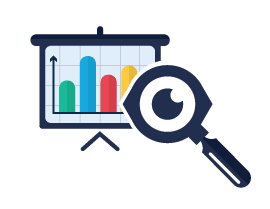 Going back to our previous examples, assuming a Click-To -Install conversion rate of up to 2%, we can predict that up to 10% of the users will explore the page. Those 10% will have the highest tendency to download the app and become loyal users. Traffic sources which have a higher Click-To -Install rate (~30%), can expect about 50% of their users to explore the page before making a decision whether or not to install. If you want to simplify the formula – the higher the conversion rate, the bigger the opportunity in converting valuable prospects to downloads via the App Store exploration funnel. To maximize the potential of our Exploring Visitors, we must carefully design the relevant graphic elements with an Exploration mindset in order to increase the Explore & Install rates. Will adding an app video improve the conversions? Will showcasing my app through an app video convert more valuable users? In some cases, adding a video can improve conversions. But in other cases, the effect could be the exact opposite. 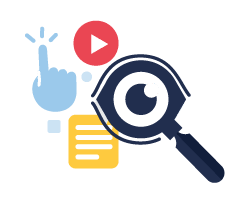 The effect depends on a range of factors (for example – the profile of audience you are after, the quality of the video, the traffic source, internet connection, etc). The cost associated with creating quality videos is pretty high, but once you get it right – you are in a great position to see an uplift in quality users. 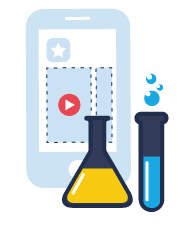 From an App Store behavioral standpoint, adding a video will change the dynamics between Instant Install, Instant Drop and Explore on your App Store Product Page. As a general statement, apps that add video experience a decrease in Instant Drop & Instant Install rates (as users are curious to click the play button once they land), thereby increasing Exploration Rates. If your video is successful, you can convert the would-be Instant Droppers to Explore & Installers. If your video is not, your would-be Instant Installers become Explore & Droppers. Follow the StoreMaven Blog to learn more about the specifics of Video on the App Store. How do you test your Video and remaining Screenshots? It is highly recommended to create several alternatives for Exploration elements, which differ from one another in Design and/or Messaging. Going with your instinct is a valid first step, but understanding exactly which creatives will work best with your target audience can only be determined with live testing. Gad is the co-founder and CEO of StoreMaven, having previously founded Shaker (and winning TechCrunch Disrupt in 2011). Gad began his career illegally breeding animals in his basement and selling them to his schoolyard friends. Hobbies include getting overly excited about data, traveling, ordering one of everything on the menu, traipsing around with his tiny dog on his shoulder, and upstaging his bestie (co-founder Adam Rakib) on his birthday. Hey there, You’ve done an excellent job. I’ll definitely digg it and in my opinion recommend to my friends. I am sure they will be benefited from this site.